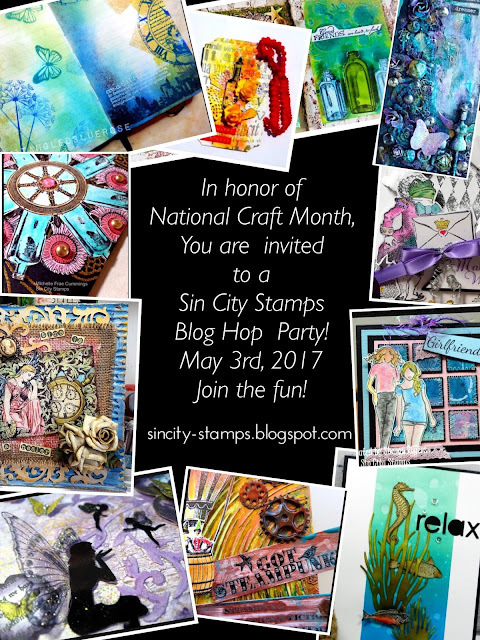 Blank Page Muse: You are Invited to a National Blog Hop! we are hosting a special "Blog Hop" and you are all invited! to meet new people, be inspired and drive traffic to your blog! we ask that this be the base of your project (s). Yes, you may do more than one project! There will be an assortment of crafting themed giveaways throughout the hop. Don't have a blog, but have been meaning to start one? This is the perfect reason! art journals...we can't wait to see what you come up with! or just come back here on May 3rd to add your blog post!